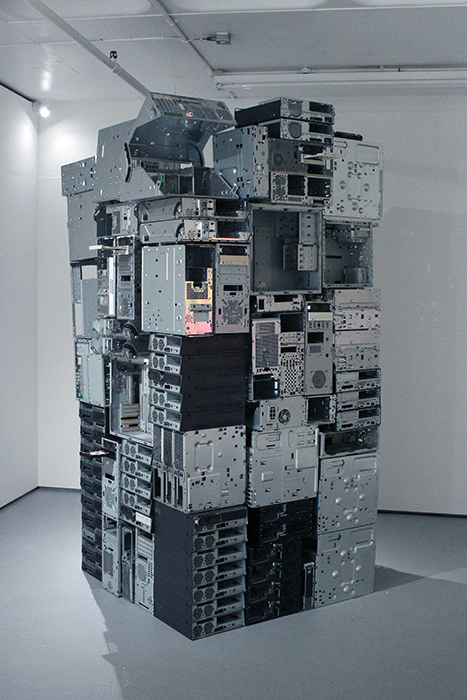 A kinetic sculpture for used computer cases with automated and amplified optical disc drives. The mechanical gesture of a CD or DVD tray opening and closing concisely performs its function as an intermediary between physical and digital space. 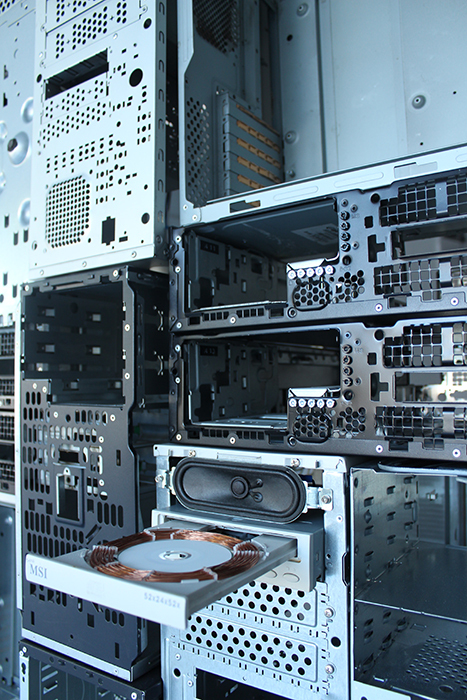 The addition of a copper coil to each drive enables them to perform their obsolescence aloud. The work is both a monument to the lost physicality of our media formats, and a reminder of the persistent physicality of digital technologies. Each empty metal case has the dimensions of an individual's digital space, evidencing the waste implicit therein.